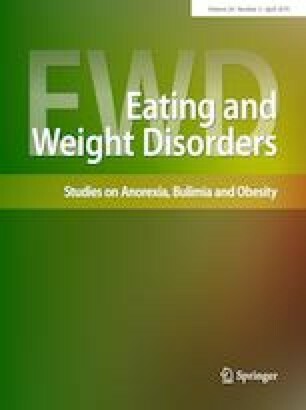 Recently, the concept of orthorexia nervosa (ON) as a potential new variant of disordered eating behavior has gained popularity. However, published prevalence rates appear to be questionable given the lack of validity of the available questionnaires. The Düsseldorf Orthorexie Scale (DOS) is a validated questionnaire only available in German to measure orthorexic behavior. The DOS was translated into English using the back-translation process. Cronbach’s alpha was used to establish internal consistency and an intra-class correlation coefficient was calculated to assess reliability. The Eating Habits Questionnaire (EHQ) was used to test construct validity and the Eating Disorders Inventory was used to test discriminant validity. Principal and confirmatory factor analyses were carried out to test the factor structure. The sample consists of 384 university students in the U.S.
English (E)-DOS and EHQ were highly correlated (r = 0.76, p < .001) indicating very good construct validity. Cronbach’s alpha coefficient reached 0.88, indicating very good internal consistency. Confirmatory factor analyses revealed a poorly fitted one-factor model, but good results for the standardized coefficients for the 10 items ranging between 0.52 and 0.82 were found. According to the E-DOS, 8.0% of the students exceeded the preliminary cut-off score, while an additional 12.4% would be considered being at risk of developing ON. The E-DOS appears to be a valid, reliable measure for assessing ON. The results revealed higher prevalence rates for orthorexic behavior among U.S. students compared to German students. Cultural aspects could play a role in those differences.